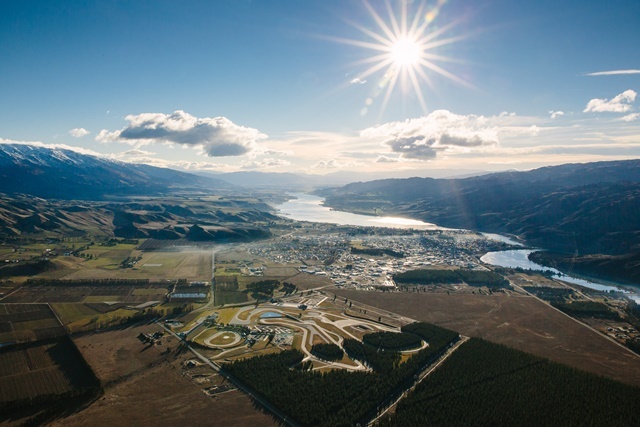 Highlands will celebrate its fifth anniversary in April and in that time it has become one of the most highly regarded racetracks in the world and one of the most popular tourist destinations in Central Otago. Not content with bringing a world class motorsport and tourism venture to Cromwell, Highlands owner Tony Quinn has his sights set on another ambitious project. If that sounds far fetched, then consider the fact that before Highlands opened in 2013, nobody could have envisioned a world-class racetrack in Cromwell. V8 Supercars star, Shane van Gisbergen has called Highlands his favourite racetrack in the world and since it opened it’s been the number one rated tourist attraction on TripAdvisor for the Cromwell region. “Five years on since we opened and we’re so much more than a racetrack,” says Highlands Chief Operations Officer, Josie Spillane. Highlands is a one-stop adventure destination for all ages. As well as big motorsport race meetings such as the Highlands 501 and the Festival of Speed, Highlands also hosts: corporate functions and conferences, vehicle manufacturer launches and test days, local events like Christmas in the Park and member track days. What makes Highlands so special is their innovative way of making speed accessible for everyone and there are plenty of options to choose from including: FastDash in a Ferrari, the ‘World Famous’ Highlands High Speed Taxi, Subaru WRX experience, Radical sports car U-Drive, Repco V8 Muscle Car U-Drive, Jurassic Forest Safari Tours and of course Highlands Go Kart track. To celebrate their fifth anniversary in April, Highlands will host a free Easter Egg Dinosaur Hunt, there will be some very special giveaways (keep an eye on their website for more details) and the finale of the Highlands Sprint Series.